Instead of 'Mani Monday' I decided to have Mani Sunday. For the holiday weekend I had painted my nails red & blue, but they began to chip so I decided to freshen them up. 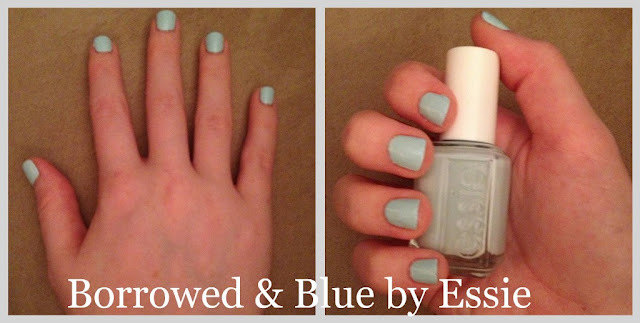 I used a pretty pale blue color that I love, Borrowed & Blue by Essie from their Wedding 2011 Collection. It's a great color for summer, & it's light so it's not too flashy, but the blue color is still unexpected. When polishing your nails always remember to use a base & top coat, my favorite top coat is another polish by Essie, No Chips Ahead. What are your thoughts on blue nail polish?